Melody, an Oceanis 41, is taking part in the second Rally des Iles du Soleil. Rémy BONANI is the owner of Mélody, an Oceanis 41 bought at the Paris boat show in 2015. The sailing yacht took the starting line of the 2ndRallye des Iles du Soleil-Direction Guadeloupe off the island of Palma in the Canaries, on Saturday 10 November. 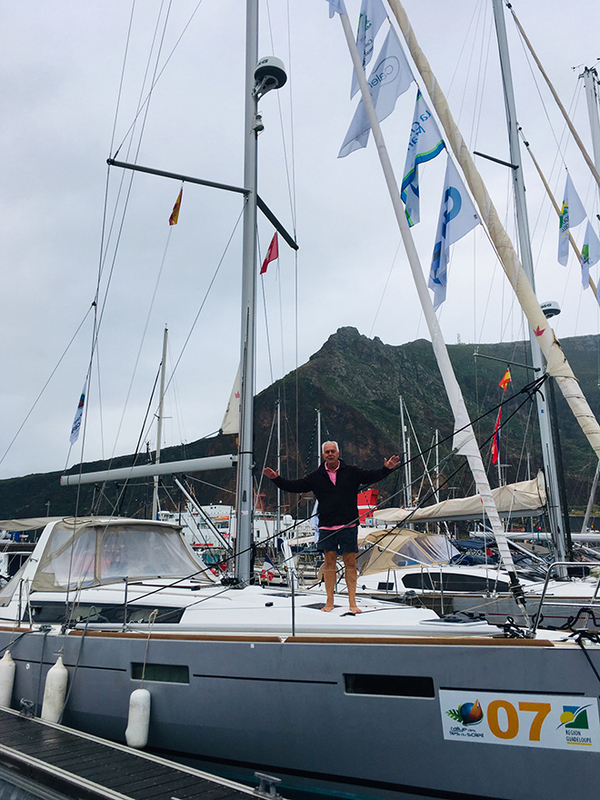 After 6 days of preparation devoted to checking out the equipment on board, various recommendations and briefings provided by the Organizers, the various crews set sail in the direction of the Archipelago of Cape Verde for a stopover in the Mindelo marina. Like other owners, Rémy was taken with the adventure the Rallye des Iles du Soleil promises. It offers an opportunity to sail a professionally supervised, safe friendly Atlantic crossing aboard your own yacht. He sailed alongside his son and will be joined by other members of his family when he arrives at Marie-Galante in Guadeloupe. They plan to visit the Grenadines and Martinique. Fair winds to our Swiss crew, Rémy and Loris!